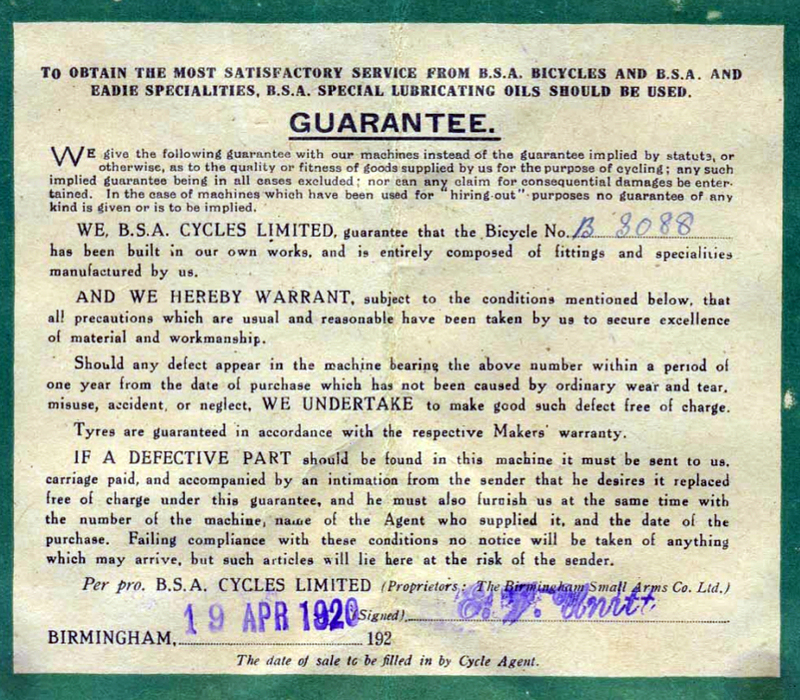 The annual cycle shows were cancelled during the Great War, so the cycling press was the primary medium for cyclists to keep abreast of the range of machines offered by the manufacturers. 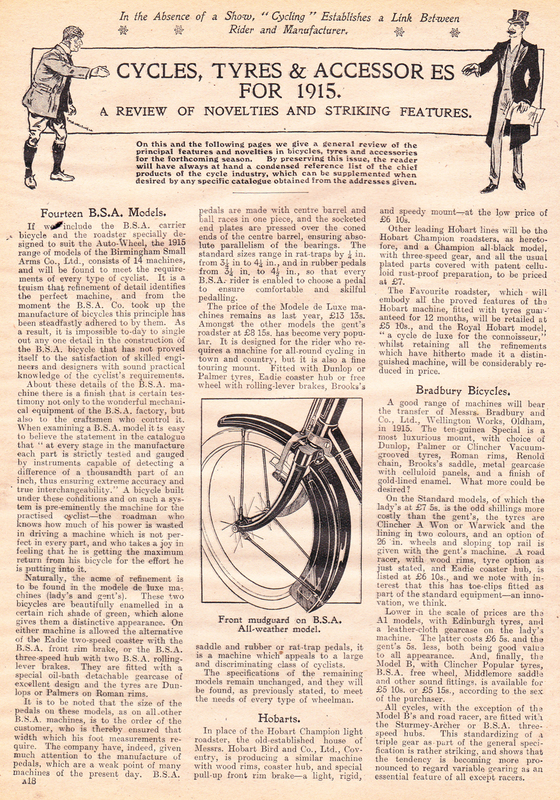 The front mudguard of BSA’s ‘All-Weather’ model was illustrated in a 1915 edition of ‘Cycling’ magazine. Cycle makers created models with distinctive features to help advertise their company. 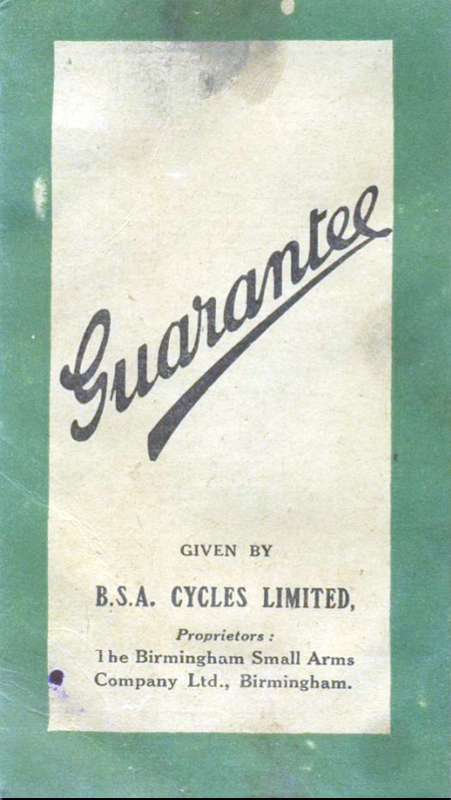 With its easily recognisable profile, the ‘All-Weather’ was one of BSA’s most successful lines, and the company continued offering it as an option during the 1920s. The transfers (decals) have faded on this BSA All-Weather, but otherwise it is in excellent original unrestored condition. It’s fully accessorised, with factory-fitted weatherproof mudguards, plus dynamo powered front and rear lights, rear carrier, inflator pump and bell. The de luxe ‘weatherproof’ mudguards on BSA’s ‘All-Weather’ bicycle were an attractive option. The ‘Autogrip’ handlebar grips were supplied for motorcycles. 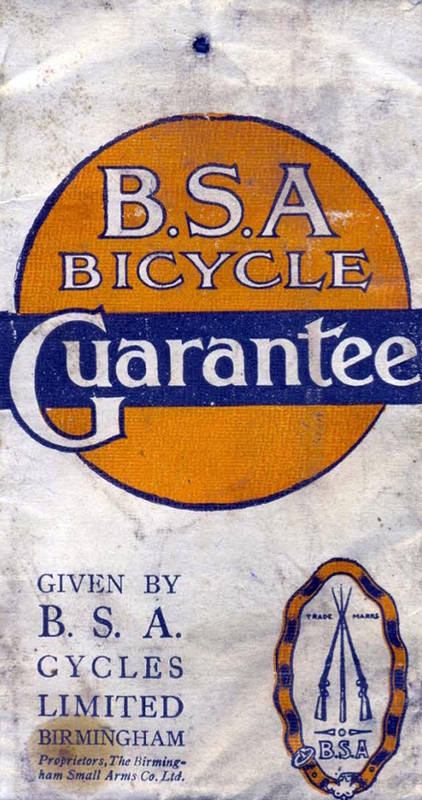 But, as you can see here, are equally suitable for a bicycle, and particularly a heavy duty model fully loaded with accessories such as this BSA.